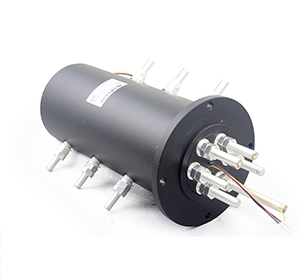 MW5158 is super large current slip ring, and the rotor and stator separately adopt terminal connection, which is often used in application over 100A. According to the customer's request, it can be customized to add sensor signal or thermocouple signal. Our products adopt material imported from America. It has advantages of low contact resistance, slow temperature increase, which can meet the reliability requirements of military level. MOFLON supply build-on-request service base on MW5158 series, the delivery time of build-on-request is 2 weeks,and price is only 10%~30% more than the standard version. if order MW5158 with 65wires*signal,the model should be MW5158-S65.